When my husband and I bought our first home in November 2014, I was completely overwhelmed. As a first time homebuyer, I had no idea what the escrow process was. 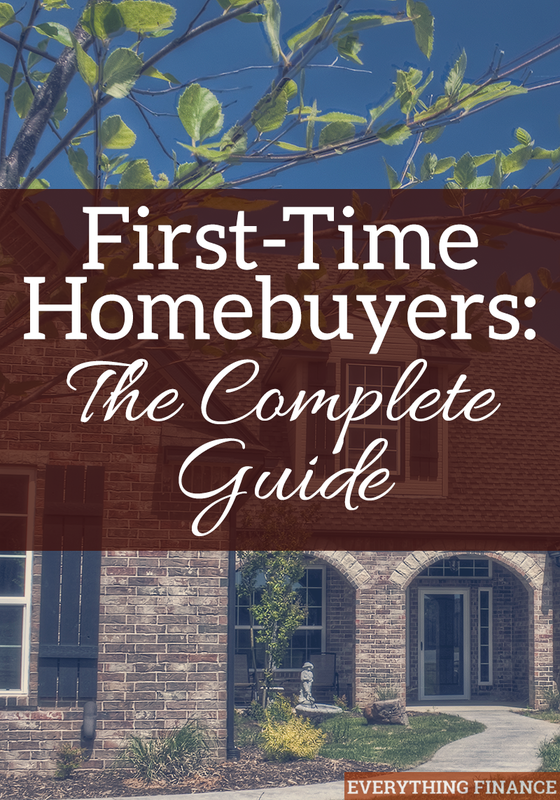 Articles online that I tried to research about the home buying process were very technical—I wanted to know what someone’s personal experience was like, how they talked to their realtor, how they went through the offer process, etc. I feel like I ultimately made a lot of mistakes with our first home buying process simply because of our naiveté. Now that I’m armed with a lot more knowledge, I know I’ll be better prepared for whenever we decide to buy our next home. Here are the lessons I’ve learned so that you don’t have to repeat my mistakes. Choosing a realtor is the first step in buying a house. Of course, you don’t have to get a realtor, and as a first-time homebuyer, you can always use the seller’s realtor to do your transaction, BUT it’s in your best interest to have your own realtor. The reason is because you want someone fighting in your corner, and a realtor that represents both the buyer and the seller will be trying to appease both clients. Friend or Family Member: A lot of people will go through a friend or family member who is a realtor. This could be a double-edged sword. While you know them better because of your close relationship, there’s a reason there’s an adage that says “friends and money don’t mix.” The home buying process can be stressful, and you don’t want to sour your relationship with your friend or family member. Recommendation: Personally, I believe this is the best option. Through a recommendation, you know that someone else has enjoyed the services of this realtor, and they’re capable of doing an effective job. Internet: If you have no other options, then do some research on the internet and try and find some good reviews of realtors in your area. We ended up selecting our realtor after meeting him at one of the open houses we attended. He seemed nice enough, and we didn’t know anything about the qualities we wanted in a realtor. Get a Bulldog, Not a Golden: The home buying process can seriously be a lot of back and forth between the buyer and the seller. I wish we would have had a realtor that was more aggressive and argued for our rights. I felt we gave up a lot that we shouldn’t have. Constant Communication: You want a realtor who will give you daily updates throughout the process, even if it’s to say “no update today.” I felt like we were constantly chasing our realtor to do his job and let us know where we were in the process. Someone Who Does Work for You: You don’t want a realtor who is going to take you to see every open house in your desired neighborhood. If you give him specific characteristics you’re looking for, like a three-bedroom move-in-ready with two-car garage, there’s no reason he should take you to see a two-bedroom fixer-upper with no garage. Your realtor should do his research before taking you to see homes. Many realtors will request that you’re pre-approved for a home loan before showing you houses. This is to ensure that you can afford the type of houses you are looking at, and that you have an idea of how much house you can afford. A bank’s pre-approval letter will generally last about 60 to 90 days – after that, you then have to get a second pre-approval letter. Here is a huge piece of advice: Just because the bank approves you for $700K doesn’t mean you have to use up all that money on a house. We could afford a lot more house than we bought, because according to the bank, we had a lot of money to burn. And while it’s true that we could comfortably pay up to $2,000 more toward a mortgage, we also have other goals: we want to save, build wealth, and retire comfortably. A lot of our goals would be hard to accomplish if all our discretionary income was tied to the mortgage. So sit down with your spouse and go over exactly how much you’re comfortable paying toward a mortgage every month and then stick to that budget. Don’t let your realtor show you homes that are way above your price range. Chances are you’ll fall in love with them, and you’ll be tempted to go over budget. And don’t even let the seller’s realtor know how much you’re approved for, because they’ll be more opposed to bargaining if they know you can afford it. Don’t forget that you don’t have to get your home loan through the bank that you got pre-approved from. In fact, your best bet would be to go with a mortgage broker whose sole job is to make sure you get the best rate on your loan. A mortgage broker can scan lots of different home loan options to ensure you’re getting the best rate, rather than having to call different banks yourself. Once you’ve found a home that you’ve fallen in love with, it’s time to put an offer in. Your realtor should provide guidance as to what’s an acceptable offer based on comps in the area. Comps are what other homes of similar size and status have sold for in the general vicinity. Everyone wants to get the best deal, but you also don’t want to put in an offer so low you offend the seller – they might completely stop negotiations if that’s the case. The Market: Is it a buyer’s or seller’s market? A buyer’s market means odds are in your favor and you’ll be able to get a better price and negotiate more for the things you want. Comps: What did other houses of similar size and move-in-readiness sell for? An updated home will sell for more than a non-updated home. Competition: Are there other buyers putting in an offer? If so, you need to go in with your best and final offer. In the end, we went with a full price offer but asked the seller to contribute $5K in closing costs. Closing costs can add anywhere between $5K to $12K to your loan. I wish we would have gone in $10K below our offer, but I felt pressure from the realtor to go in with a full price offer because the house was priced well and would sell quickly (according to our realtor). However, as far as I know, there were no other offers on the table, and we were in a perfect spot to negotiate a bit back and forth. In the future, I plan to be stronger and stand up for myself. $10,000 may not be a lot when you’re buying a half a million dollar house (we live in Southern California), but it’ll cost you a lot more over years of interest payments as well. It’s your money, don’t let anyone else tell you what to do with it. You’re also supposed to put some earnest money in with your offer. Earnest money is essentially showing your commitment to the homeowner that you’re serious about buying the home, and the money acts as a deposit for your loan. Again, don’t let your realtor bully you into putting in more earnest money than you’re comfortable with. The standard is 1-2% of a home’s purchase price. In some cases, you can’t get your deposit back, so make sure you confirm whether that’s a possibility or not. The last thing you want to do is put in $10,000 and find something wrong with the house, and realize you can’t get that money back. Escrow is essentially the time it takes for everything to go through on your loan. As soon as you make an offer, the escrow process begins, which starts with securing your loan. “Escrow” is basically a neutral third-party that manages all the paperwork and distribution of funds. This ensures that when the seller gets the funds, he doesn’t just run off with your money and never hands over the keys. If you want your escrow process to run smoothly, the best thing you can do is scan all your important documents, like tax forms for the past two years, income statements, bank statements, etc., and have them readily available at all times. There may be instances where the loan company will constantly ask for documents you’ve already sent. Just take a deep breath and know that it’s part of the process. Besides getting the home loan in order, other elements of the escrow process include getting a home inspection. The home inspection is where an inspector comes out and goes through the entire house to find any issues with the home. The inspector will put together a report that highlights all the areas that need to be fixed. You can then either have the seller fix the items, or negotiate for credit on the loan and fix them yourself after you move in. Again, this is another case where you really need your realtor be a Bulldog and not a Golden Retriever. You want your realtor to tell the homeowner exactly what you want, and not make concessions. I feel we weren’t as firm and were taken advantage of simply because we were first-time homebuyers and young. The appraisal is when an appraiser comes out to the property and determines how much the house is actually worth based on a variety of factors, like size, location, recent comps in the area, etc. You definitely want the appraisal to be at the amount you offered; if it’s higher, you’ll owe more in property taxes, and if it’s valued lower, then the loan company won’t want to loan you the full amount, and will make you come up with the difference. Bear in mind that you need to pay for the inspection and appraisal out of pocket. The final week of the escrow process is always a blur. It involves signing all the loan documents, which takes about an hour—make sure to at least scan, if not read, each document you’re signing—doing a final walk-through of the house, and transferring the utilities and keys. Then congratulations, because you’re all done! It may be a stressful time period, but it will all be worth it in the end! You can finally move in to your new home. The old homeowner normally gets between 48-72 hours to vacate the premises once you close on the house. Share your experience buying a home in the comments!